A little sweet treat: a simple cake that takes 5 minutes to mix (and 40 minutes to bake). Yogurt cakes a lovely, light and mild in taste. And soy yogurt does the work perfectly. You will need 250g soy yogurt, 2 cups flour, 3/4 cup sugar, 3/4 cup oil, 2 tsp baking powder, 3/4 cup coconut cream, and a pinch of salt. Mix it all well. In the meanwhile, prepare the berries. I used frozen ones, of course fresh ones will be better. You can mix which kind of berries you want. Warm them up in a pan, like when you start to make marmalade, just without sugar. When the liquids simmer, take the fruit out and add it to the mix. Keep the liquids. After mixing everything, pass it to an English cake tray and bake it in 180 degrees for 40 minutes. Or until you can poke it with a knife and take it out dry. The liquids from the berries should then be reduced in the pan. That will be used as a syrup to top each slice when it’s done. 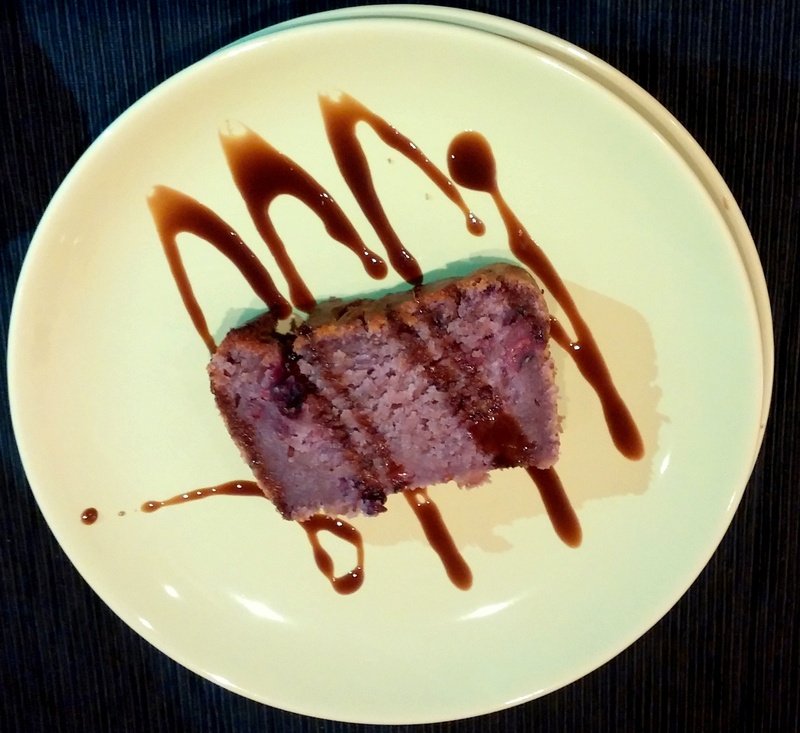 Posted in DessertsTagged Blueberries, Vegan Desserts, Yogurt cakeBookmark the permalink. What type of oil do you use? and how many blueberries. This cake tastes so delicious but it was very dense… is that how it is? Best is to use coconut oil, but if you don’t have any, normal vegetable oil would work too. I used 300g of blueberries. Once mixed it, 200g blueberries and 100g cranberries. And if it came out too dense, try a bit more baking powder next time.